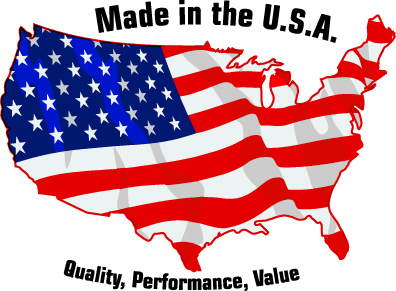 Reshoring is a hot topic among U.S. manufacturers. According to a survey released in October 2014 by Boston Consulting Group, 54% of manufacturing executives who have out-sourced production overseas are considering bringing some or all of their foreign production stateside. The team at Safety Speed Manufacturing joins in applauding the reshoring trend but will not be joining the movement anytime soon. That’s because the Ham Lake, MN-based company has sold more than 70,000 woodworking machines proudly made in the USA since producing its first vertical panel saw 60 years ago. This is not to suggest that Safety Speed hasn’t been subjected to the same forms of economic and regulatory pressures that have driven thousands of U.S. manufacturers overseas – resulting in the loss of millions of jobs. While he is thankful that the majority of his staff has been with the company for more than 10 years, Donahue is not taking the skilled-worker shortage sitting down. Safety Speed is a long-time member of the Wood Machinery Manufacturers of America and the Association of Woodworking & Furnishings Suppliers. The two associations are working together and with other trade organizations to lobby Congress for supporting funding of career and technical education on a national level. Donahue and Safety Speed Sales Manager Shawn Larkin visited the Washington, DC, offices of their Congressmen during the WMMA’s Public Policy Fly-in this past September. By virtue of that participation, Donahue was able to successfully persuade Rep. Tom Emmer (R-MN) to attend the cooperative dealer training and open house hosted by Safety Speed last month. Rather than dwell on the many manufacturing challenges, Donahue prefers to discuss why Safety Speed stays firmly rooted to its American ideals and deeply committed to remaining a U.S. manufacturer. “We could have our machines made cheaper overseas but that’s not us. By maintaining our manufacturing operations domestically, we are better able to capitalize on our home court advantage by offering our customers high-quality machines at a great price. While domestic customers have come to appreciate and expect this level of service, foreign customers and dealers also place great stock in Safety Speed’s Made-in-America value proposition.